muscle checking to determine the stresses in daily life. Here is a unique and simple way to determine exactly what forces, both external and internal, are stressful to you. Since this body-checking system involves applying physical pressure to your arm muscle, you'll need someone to participate with you. You don't have to be physically strong to do the check or to be checked. The key concept in the checking is that stimuli affect muscle strength. When you apply pressure on your partner's arm, her arm will remain strong when she is exposed to a positive stimulus; and her arm muscle will be weakened when she is exposed to a negative one. This will make more sense as you proceed further. As a professional speaker on stress management, I use this behavioral kinesiology (BK) muscle-checking technique in my seminars. Audiences have found it amazing and exciting. I have conducted muscle checking on hundreds of thousands of people, including presidents of corporations, top government officials, office workers, sales personnel, homemakers, and students. Everyone receives a first-hand experience with this amazing technique because I have all my audiences participate and do the muscle checking on each other. BK muscle checking is something you must experience in order to believe, so now you need to find someone to be your partner. By following these instructions, you will soon discover for yourself the amazing ability your body has to simply and easily tell you what it finds positive and beneficial and what it finds negative and detrimental. Read through these instructions for BK checking first, and then follow them on your partner. It is extremely important for you to do the muscle checking now in order to understand this concept as it appears throughout the book. 2. Your partner should raise one arm up from the side of the body so it is at a right angle to the body and level with the shoulder, with the thumb pointing toward the floor. Imagine a bird with a wing outstretched, and you'll have the correct arm position. The other arm should remain at the side of the body. 3. Now place one of your hands on your partner's extended arm, just above the wrist. Place your other hand on your partner's opposite shoulder. 4. Instruct your partner to resist as you push down, firmly and steadily with a hard pressure, on the extended arm. Say out loud, "Ready-resist," as you are about to push down on your partner's arm. You are not trying to force her arm down; her arm should stay fairly level during the pressure; however, you want to place a hard, steady pressure on the arm in order to measure her normal level of resistance. You should press firmly for several seconds, and then release. I call this checking in neutral. It is important to check a person in neutral before doing any other checking so you can determine her normal level of resistance. Note: If you push her arm down more than an inch or two, you have pushed through her ability to resist. Press again with a bit less pressure. Always follow this concept of checking in neutral to check a person's level of resistance. Just remember to exert pressure based on the person's level of strength. For example, you would press harder when you are muscle checking a super-strong football player and more gently if you are muscle checking a petite person. Now you're ready to do the BK muscle checking procedure called the Stomach Meridian Check which I demonstrate on my TV show. 1. Do the BK check for Normal Resistance. 2. While your partner keeps her arm extended, use one of your hands to trace a straight line, from her eye to her foot, down the same side of her body, without touching her body at all. 3. Immediately check the resistance in her arm by telling her to resist as you push down. Her arm should go down easily. Cutting the line has briefly switched off her energy. 4. Have your partner extend her arm again. This time, trace a line from her foot to her eye, without touching her at all. 5. Immediately re-check your partner's ability to resist. You will find her checking strong again. You have now increased her energy flow and she is switched-on. Almost all people check weak when the line is traced downward, from the eye to the foot, because that motion is cutting the stomach meridian line. Then, when the line is traced in the opposite direction, from the foot to the eye, they check strong because that particular meridian line runs upward. Tracing a line in the direction the line naturally runs is strengthening to that particular meridian line and to the entire body. When you trace this meridian line upward from the foot to the eye, you are following the direction in which it flows, and you are strengthening both that meridian line and the entire body. By moving in ways that go with your line's flow, instead of against it, you wind up actually strengthening your body. Now that you have experienced Behavioral Kinesiology Muscle checking, let me explain why it works. Your body is a complex organism that is programmed to strive for wellness. It has an incredible intelligence and an ability to respond to the unique ways you program it. The actual muscle group we are body checking is the deltoid muscle. When you are doing the checking procedure and the arm goes down easily, the deltoid muscle signifies that the entire body's energy level is in a weakened and switched-off state. When the arm stays up, it indicates that the person's energy is strong and switched-on. While you can do the BK checking on other muscles in your body such as the leg muscles, we use the deltoid because it is more conveniently located. If, during the muscle checking, the person's arm becomes tired, you can simply switch to the other arm. Just be sure to check the "new" arm first for its normal level of resistance before you begin any further checking. Reprinted from Switched-On Living™ by Jerry V. Teplitz. Ph.D., J.D. with Norma Eckroate, © 1994. Published by Hampton Roads Publishing. 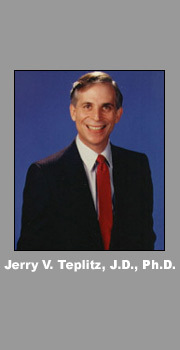 © 1997-2007 Jerry Teplitz Enterprises, Inc.